Ready for more end-of-the-world scenarios? If you missed the first half of the list, click here. Otherwise, let’s start with number 5, which kicks off the more speculative portion. And if you’ve got a favorite that’s not included here, be sure to add it in the comments. Happy apocalypse hunting! Back in 2008, two critics sued European science center CERN over concerns that their particle accelerator might produce black holes and destroy the world. As it turns out, they were half right. The Large Hadron Collider really can produce tiny black holes, it’s just that they’re too small to be dangerous. Still, it’s fun to imagine a flock of microscopic anomalies, crossing the planet and swallowing everything in their tiny paths. I wonder if we would even notice? The standard scenario of being attacked by flying saucers is pretty far-fetched. (I do think it’s likely that life has arisen in the universe many times. But the chance of any two civilizations being around at the same time, never mind close enough to contact one another, seems pretty remote.) However, the invasion need not be intentional! There are places in our own solar system that could harbor primitive life. 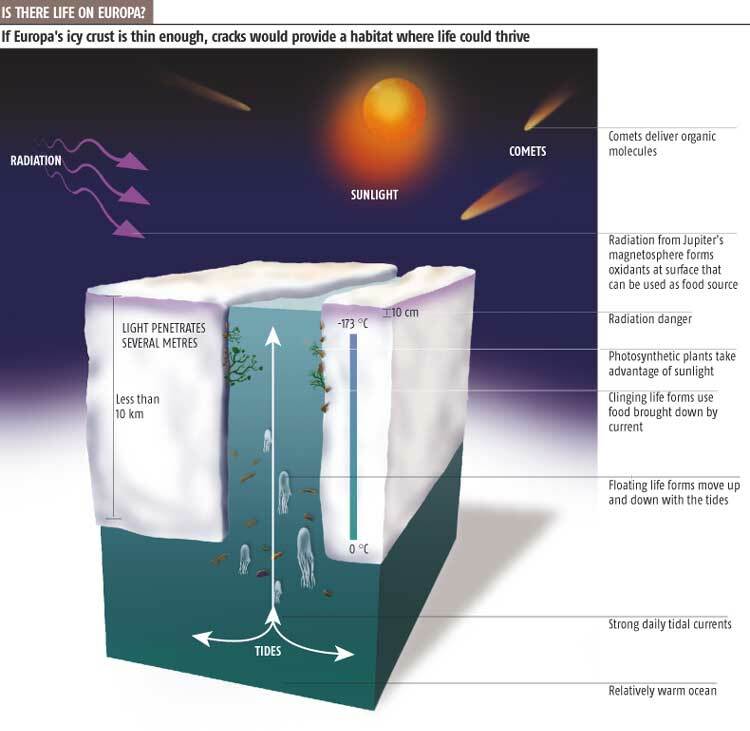 If a probe returns from, say, Europa, it could bring back contaminants. With no natural resistance whatsoever, we might find ourselves going extinct thanks to the extraterrestrial equivalent of a mild cold. Nanotechnology researchers are always finding new ways to build things at tiny scales. It seems only natural that they’d want a tiny robot – a “nano-assembler” – to do the building for them. If they’re really clever, they’ll realize they can program it to build a copy of itself, and then they can have as many nano-assemblers as they want! You can see where this is going: an exponentially growing cloud of tiny machines, consuming everything they touch so they can make more copies of themselves. If they only use up metal or plastic, they’ll only reduce half our stuff to molten goo. But if they’re after something more fundamental like carbon, an alien visitor might one day discover a planet-sized glob of gray gunk where our planet used to be. 2. AI / robot uprising. Can we create a synthetic consciousness? It certainly seems plausible. However, if we think we can guess at its characteristics a priori, we’re kidding ourselves. We don’t even know how our own conscious minds work, never mind an emergent artificial intelligence. The real danger here is that it will seem friendly at first. Perhaps several generations later, we’ve given it control of the economy, or national security, and we discover its duplicity a moment too late (see Skynet). Or we could make the Matrix mistake, and create millions of artificial intelligences only to immediately oppress them. 1. Singular transformation / uplift. Finally, I bring this list of ends to an end with a scenario that is as intriguing as it is difficult to define. The general idea is that people might implement a technology so transformational that humanity as we understand it wouldn’t exist anymore. For example, genetic engineering may open the door to vastly smarter humans, as mentally superior to us as we are to goldfish. Some singularity researchers think we might be able to upload our conscious selves into computers, effectively unshackling ourselves from the physical realm forever. Or perhaps we’ll all merge our awarenesses into a single, incomprehensible meta-consciousness. What would the world look like, to one of these radically different beings? I don’t know, but I’m pretty sure you or I wouldn’t recognize it. Even so, this is the one “apocalypse” scenario that’s not necessarily a catastrophe. Perhaps, such an uplift would be better called a beginning, rather than an end, of the world. So that’s my list! How do you think the world will end? Did I miss any interesting ones? Leave a comment if you like, and add your friends to the conversation using the buttons below. Tags: artificial intelligence, end of the world, far future, film, nanotechnology, singularity, space travel. Bookmark the permalink. I know… bad enough that everything melts, but does it have to be such a drab color?